There was once a time when picking your children up from school was simple, when both parents didn’t need to work, and when no planning had to be involved. But as lifestyles changed and the need for two incomes has become more apparent, children and school schedules have become more of burden to parents. 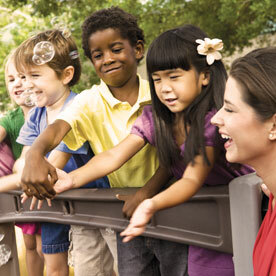 Before and after school daycare programs are helpful for parents with work schedules that are different for their children’s school schedules. They create a space where children can do their homework, socialize, and relax after school, all while allowing the parents to know their kiddos are in good hands. These before and after school programs are helpful for many families, and give children a place to hangout while their parents are wrapping up at work. These programs are great for working parents, but they are also beneficial to children. At Inch By Inch Child Care, we offer a before and after school programs that allows children to relax, do homework, and spend time with friends, giving parents a break from the constant worry of where their children will go after school. During our before school program, your kiddos can be dropped off as early as 7 am. During this time, they can relax before school and take part in different quiet activities. Pack them a breakfast and they can enjoy it while they wait for school to begin. Using our before school program also ensures that your children get to school safely, without you having to worry about bringing them yourself. Inch By Inch Child Care has private school buses that will bring your children to Davis and Lane Elementary School. Our after school program is fun, helpful, and a great place for your children to relax. After school, your kids may not want to jump right into homework, so Inch By Inch provides them with themed and stress-free activities that are fun and can help them relax after being in school all day. During our after school program, we encourage students to be independent and participate in activities that interest them. 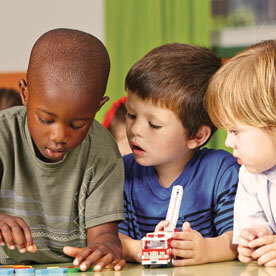 They can join in on group games, play sports, work on homework, or use the time as free time. We want to help your children develop during this time and become comfortable doing their own thing. But we also work with them on building their leadership, responsibility, social, and sportsmanship skills, which is why we offer so many different activities to choose from. If your children choose to work on homework doing this time, our staff with provide them with help when they need it. Your kids will be provided with a snack and have access to our indoor gym and outdoor playground. 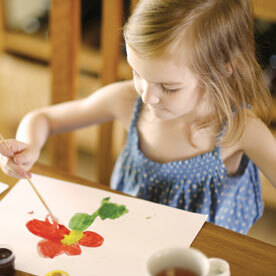 Imagine picking your children up finding that they have their homework done, and have been draining their energy! You will enjoy a peaceful night of watching your child’s favorite movie and not worrying about homework. Our before and after school programs are great and make it easier on parents to work and make sure they children get to and from school safely. But before and after school programs are actually great for students as well, and not only because they can get additional help on homework. Keep reading to learn some of the benefits of using a before and after school program for your kiddos. Allowing your children to participate in a before or after school program gives them additional chances to socialize with other kids. And the different activities we provide can give your kids opportunities to interact while independently choosing what they participate in. Your student will be able to spend time playing games with a group, participating in fun activities, or playing sports. 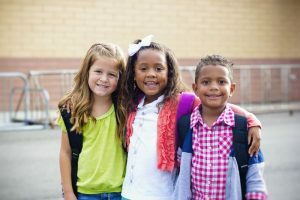 Giving children to freedom to pick and choose what they want to do allows them to find students who have similar interests and develop friendships with these kids. School, sports, and friendships allow your child to feel as though they belong. Before and after school programs have the same effect. Your kids will feel a sense of belonging in another setting, allowing them to begin feeling more confident in different areas of their lives. Since our program works with students from Lane and Davis Elementary Schools, your kids will be able to meet new people for the other school and become friends with people outside of their usual circle. 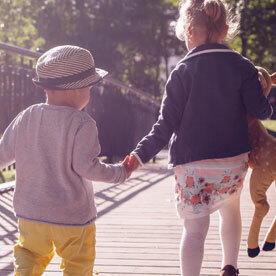 The feeling of belonging is important for children, it helps them feel more confident in their surroundings and help them with their social skills, so having another place where they can feel this will benefit them greatly. As a parent you are busy enough with work, cooking dinner, and all of the other parental duties, helping your children with homework is important but can also become a challenge during your daily routine. 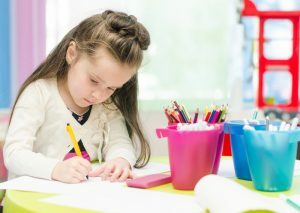 At Inch By Inch Child Care, we provide your kiddos with homework help, giving them the academic support they need to learn their lessons and finish their homework. While we do not force your students to do their homework, we are more than happy to help with when they need it and provide them with the tools they need to understand the subject. If you encourage your student to get their homework done while under our watch, we can help them get their work done, allowing you to spend time having fun with your kids rather than doing homework every night. This is a great time for your kids to have help on different subjects. While this is more beneficial for the parents than it is for the kids, children need to do something active after school. They are full of energy, and staying in school all day can take its toll, so when they head to after school programs, they have the freedom to play and use up their energy before they head home. With an indoor gym and outdoor playground, your children will have endless opportunities to run, play, and release their built-up energy. This will also allow them to do something active rather than getting home and sitting in front of the television until dinner is ready. They will give them active play they need and they will have freedom to enjoy many different activities. 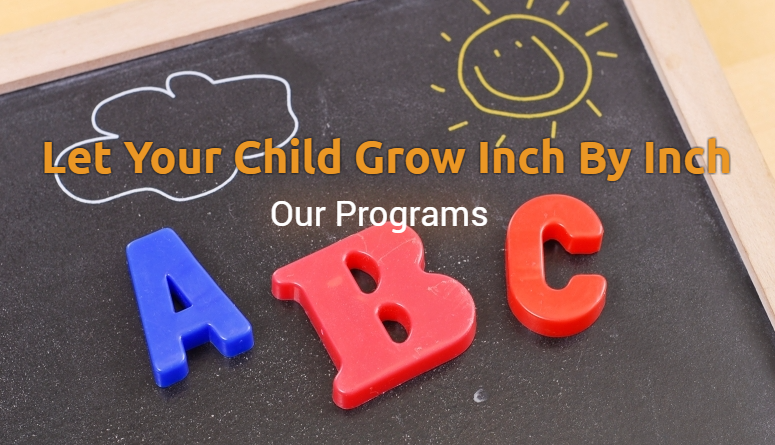 At Inch By Inch Child Care, we can provide you and your children with a great before and after school program. This is the perfect option for parent who work late, allowing children to be safe and stay supervised while parents get work done. Your children will get homework help, have freedom to participate in different activities, and meet new friends as they spend their time in our care. To learn more about our before and after school care, contact us today.